I received my B.A. in Psychology from Concordia University, Montreal (1980) and my M.A. in Counselling Psychology from the Adler School of Professional Psychology, Chicago (1988). I completed my practicum at a Quebec Ministry of Health treatment centre for alcoholics and their families. During that time I received specialized training in psychological testing, dual-diagnosis, assessment using the DSM, psychodrama, and individual and group psychodynamic psychotherapy. For ten years I worked as an individual and group therapist and psychometrician at an in-patient substance abuse clinic and an out-patient mental health clinic in Montreal. After moving to Vancouver in 1988 I worked in a group practice specializing in the treatment of childhood trauma in adults. I ran specialized groups for adult children of alcoholics and saw clients in both individual and couples therapy. I taught the substance abuse course as part of the Masters programme for the Adler School of Professional Psychology. I gave workshops on “Interactional Group Psychotherapy”, and “Ethics and Boundaries in Psychotherapy”. I conducted an on-going clinical case consultation group for The Family Services of the North Shore. I have been in private practice in West Vancouver since 1990, where I provide individual psychotherapy, marriage counselling, group psychotherapy and consultation to other therapists. Five years of personal psychoanalysis and two years participating in an interactional therapy group for therapists. Three years training/supervision with Jane Middelton-Moz, M.S. of the Middelton-Moz Institute in Seattle, specializing in working with childhood trauma in adults. Two year program “Certificate in Psychoanalytic Scholarship” at the Northwest Alliance for Psychoanalytic Study in Seattle. Ten year period of on-going clinical case conference/ supervision groups with Psychoanalysts, including: Oscar Romero, M.D., Hassan Azim, M.D., and Stephen Rush, PhD. 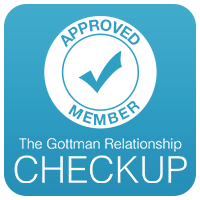 Advanced Study: Assessment & Intervention: Gottman Method Couples Therapy, Gottman Institute, Seattle. I keep my skills updated by attending continuing education workshops on a regular basis. Recent workshop topics have been: Trauma and PTSD, Emotionally Focused Couples Therapy, Sexual Addiction, Psychopharmacology, Research Based Approaches for Psychotherapy, Cognitive Therapy, Collaborative Couples Therapy, and the five day U.S. Evolution of Psychotherapy Conference – A Tribute to the Masters.